Back in March with reviewed the Snail World Set, its been a firm favorite with Raiden. He collects and cleans out the tank every few days. He is really enjoying collecting and looking at the different sizes and colours of snails. 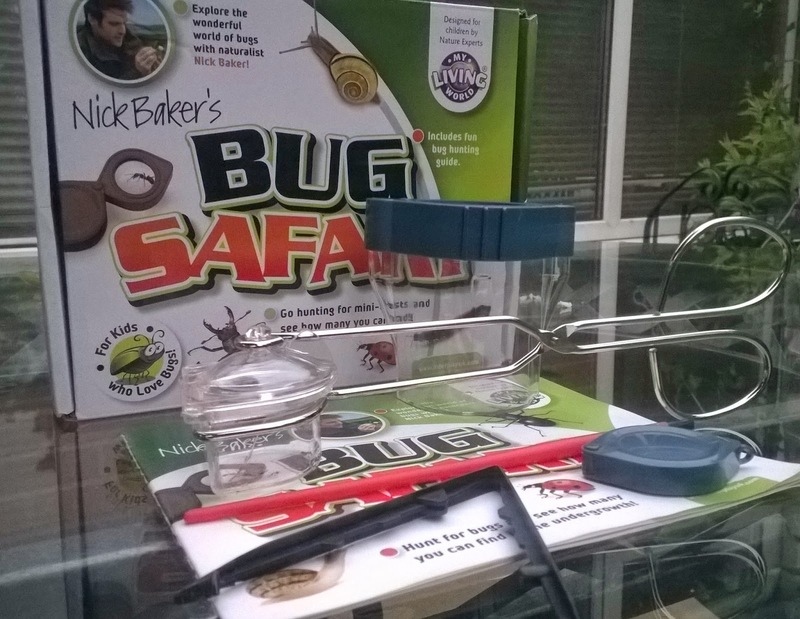 He was very excited to be sent the Bug Safari Kit to add to his bug finding collection. The kit inside is great for children to enable them to catch, observe and identify common mini beasts in their gardens. A Field lens - this is great for getting up close and personal to bugs on flowers or trees or those pesky little ants. Bug tongs - This was Raiden's favorite piece of kit, the tongs are great for picking up things and looking at them. 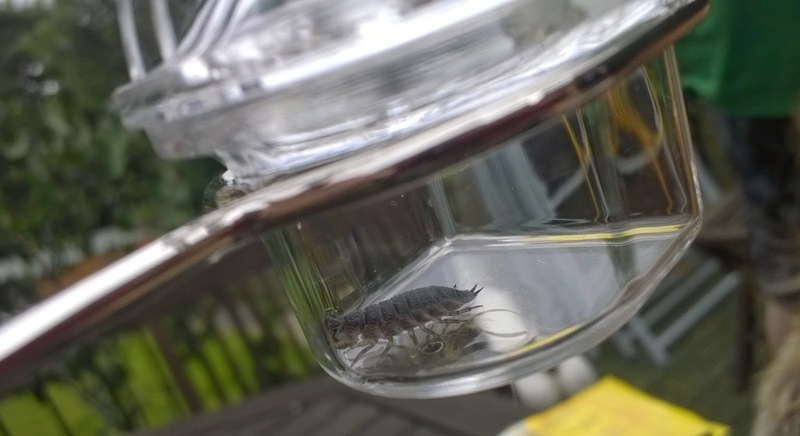 Raiden caught a very slimy slug in here and a woodlice. 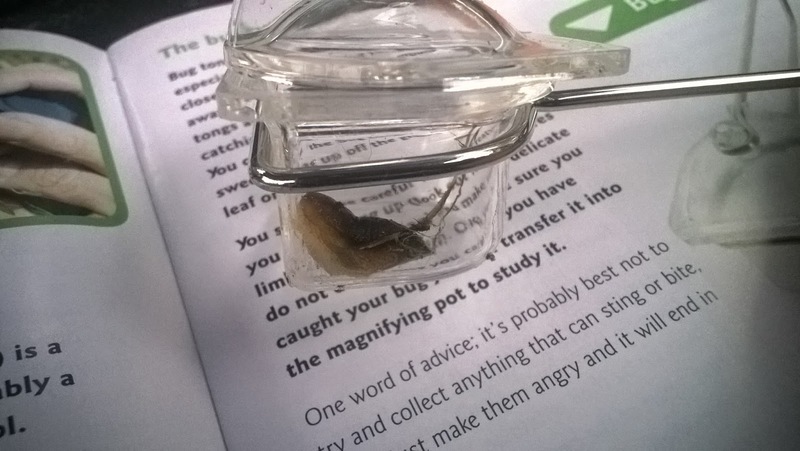 Viewing pot with magnifier lid - The viewing pot is great for looking at all different sides of the mini beasts in ours we had a fly, spider and ladybird. Brush - This is good for brushing small bugs in the the viewing pot without hurting them. 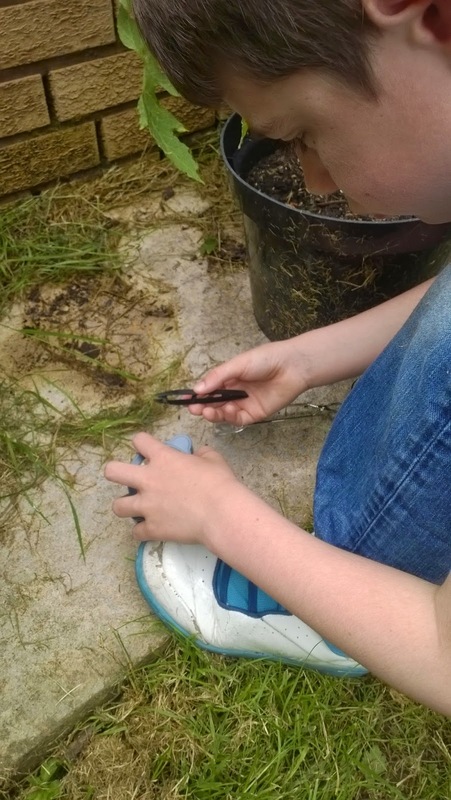 Tweezers - These are great for picking up fast wriggly bugs. Colour instruction booklet (20 pages) - The instruction booklets is great with this kits. 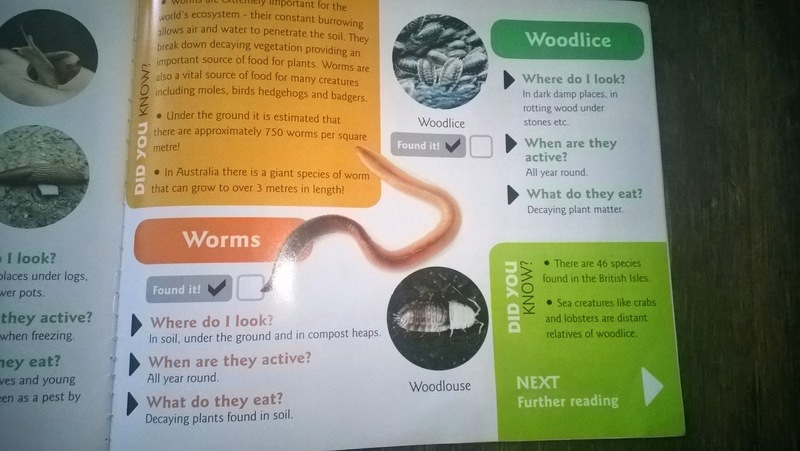 They are so detailed with loads of facts about different mini beasts. Where they live, have many species etc. 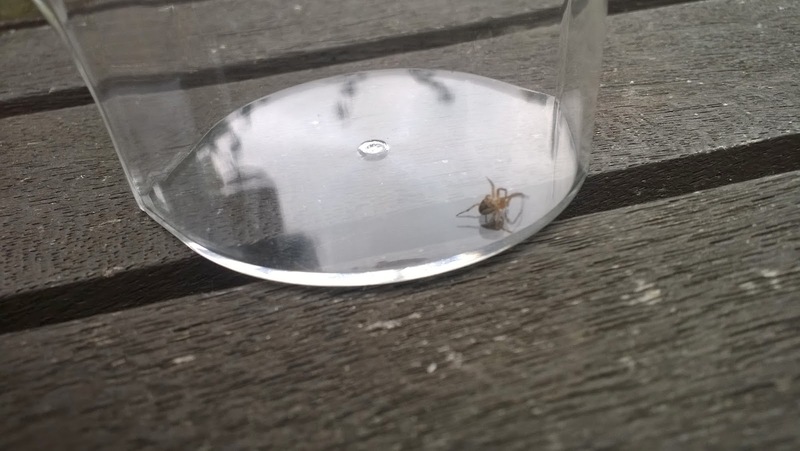 There is also a checklist in there that you tick when you have found one of the mini-beasts. It also tells you want you can and can't pick up. 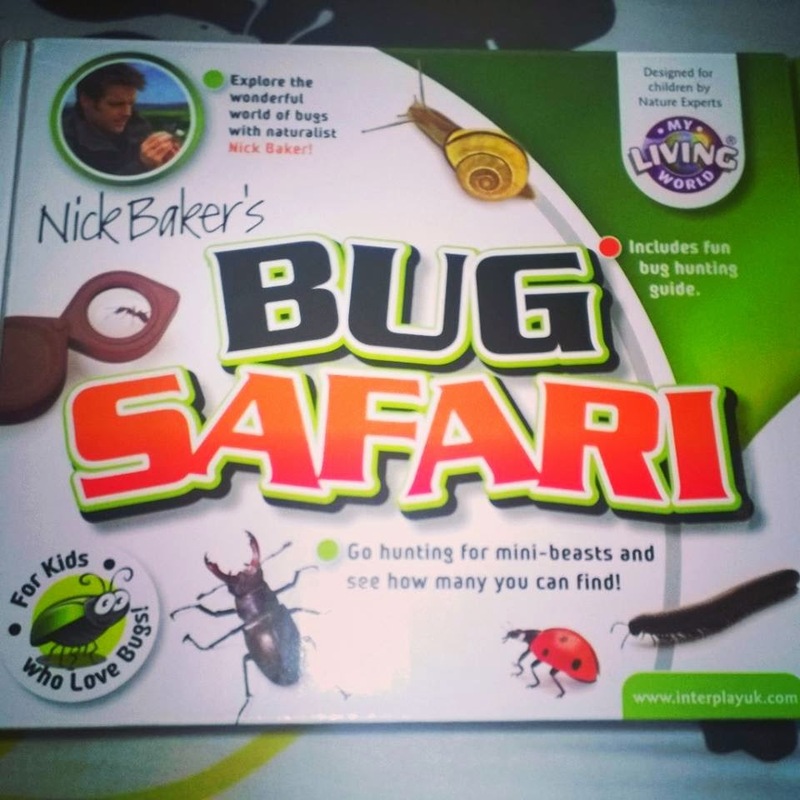 We have a bug safari kit, too, and the kids love it! Ha ha! My boys would love this! Me - not so much! They keep making a 'bug hotel' with a bucket and mud. I'm imagining some kind of poor bug hell where they all have to learn how to get along. Poor bugs! we used to have this kit!! We build a bug hotel last year out of an old wine rack and Moo pops all his creepy crawlies in there now! Bug hunting is always a favourite activity in our house too. Looks like a fab kit. 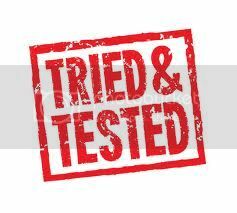 I was asked to review something similar with catterpillars. I had to decline. I cannot stand creepy crawlies and the thought of them in my house- no thanks ha. Wow- that looks like a good quality kit! 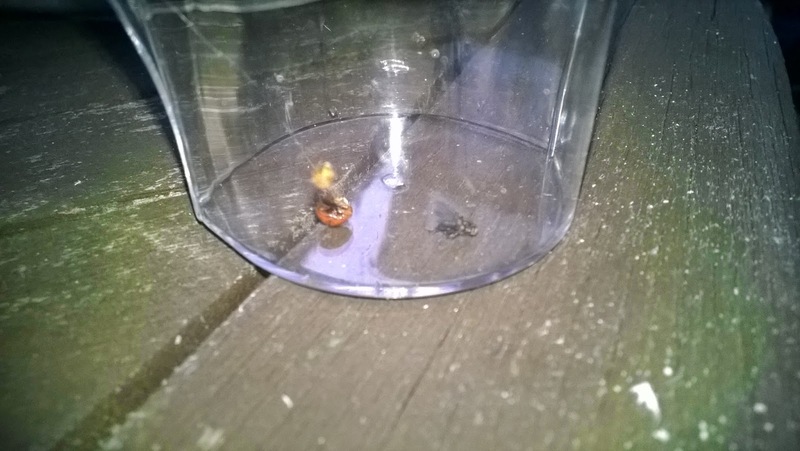 Although I am terrified of creepy-crawlies...I will have to get over that because my tots already show an interest in them!